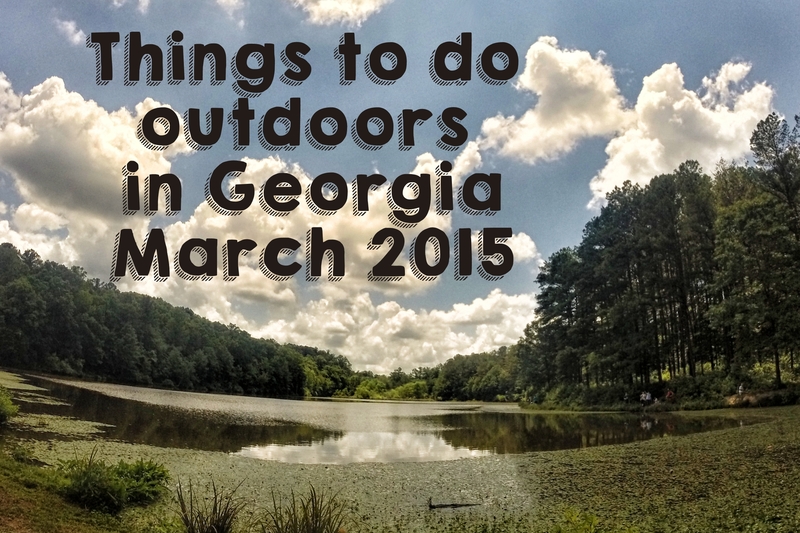 Looking for April’s Outdoor Activities and Fun Guide? Click Here! Kick off Georgia hiking season with Atlanta’s most amazing hike. It’s called Monadnock Madness and it’s a brilliant combination of three glorious trails that will leave you in awe. Monadnock Madness takes hikers to the tops of Stone Mountain, Arabia Mountain and Panola Mountain for an unforgettable experience. Although you can choose to schedule the hikes throughout the month, I highly recommend joining the Triple Hike Challenge for the best experience. Click here to find out why I recommend Monadnock Madness as Atlanta’s most amazing hike, or just find out for yourself by registering for the event on the Monadnock Madness website. Date Night! Take a hike by the light of the full moon at Tallulah Gorge State Park, Mar 5 & 6! Date Night! There’s a full moon, March 6. Come hike to the ruins at Sweetwater Creek State Park! Date Night! Paddle a canoe under the stars at Georgia L Smith State Park, March 6. Explore! Get off the trail and hike to hidden granite outcrops at Chattahoochee Bend State Park, March 7. Muddy Spokes! Pedal 16 miles of Panola & Arabia, March 7. Park Rangers point out nature & historic sites. Experience! Join astronomers, March 7 & 21, at the darkest skies in Georgia for a look at the the stars! Experience! Kayaking the salt marsh is an unforgettable experience. Come explore at Crooked River State Park Mar 14! Education! It’s time to learn about the snakes you may encounter while hiking Georgia, Sweetwater Creek State Park March 15! Muddy Spokes! Attn Mountain Bikers: Come race the Dirty Spokes Off-road Duathlon at Ft Yargo Mar 21! Experience! Go see Okefenokee on a Billy’s Island Tour & learn about our favorite Georgia Swamp, March 21, 28. Experience! Get up close Sweetwater’s famous ruins on one of the most popular hikes in ATL, March 21, 28. Date night! Sweetwater Creek, and the impressive New Manchester Ruins, by candlelight, Mar 21! Education! Walk Fort Yargo SP with Atlanta Audubon in search of woodpeckers and wading birds! Mar 27. Experience! Beat the heat to Okefenokee by exploring Billy’s Island, March 28! Experience! Give Kayaking a chance, March 28! I promise you won’t tip over. Sweetwater is perfect for this.